1. Preheat the oven to 400°F and butter the ramekins. Chop the cheese, including the rind, and put it in a food processor with the egg yolks, heavy cream and a generous amount of fresh black pepper. Work it until smooth, adding more cream if necessary until the mixture almost falls from the spoon. Transfer it to a bowl. 2. Stiffly whisk the egg whites in a mixer or by hand, adding a pinch of salt to help stiffen them. If using a mixer, finish whisking them by hand. Stir about a quarter of the egg whites into the cheese mixture to lighten it. Add this mixture back to the remaining whites and fold them together as lightly as possible. Tip the soufflé mixture into the buttered ramekins and smooth the top with a metal spatula. They should be completely full. 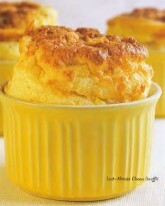 Run your thumb around the inside edge of the dishes to detach the mixture from the rim so the soufflés rise straight. 3. Set the ramekins on a baking sheet and bake until very hot, puffed and brown, 10 to 12 minutes. When shaken, they should wobble slightly showing they are still soft in the center. Do not overbake or the soufflés will be dry. Transfer them to cold plates lined with napkins for easy serving and serve at once. 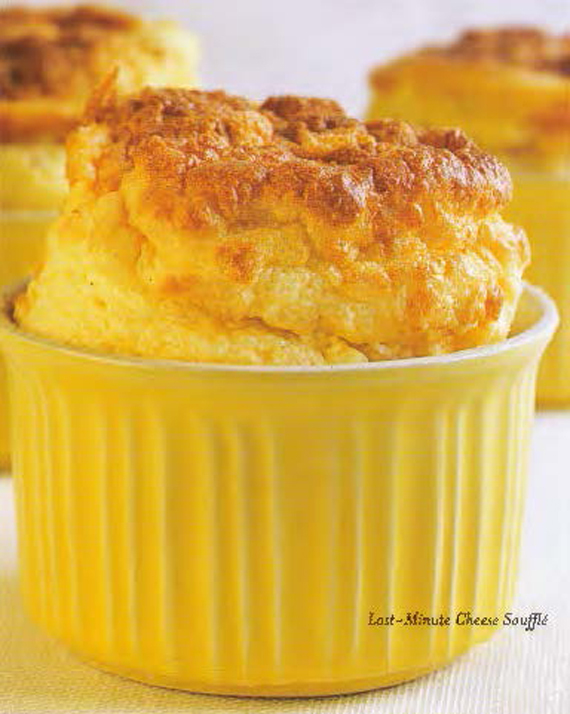 The center of the soufflés should be slightly soft to provide a sauce for the firm outside. GETTING AHEAD: The cheese mixture can be made up to two hours ahead and kept covered in the refrigerator. The whites, of course, must be whisked just before you assemble and bake the soufflé. Hi, Can’t wait to try this recipe. Had classes from Anne while in Paris over 35 years ago.